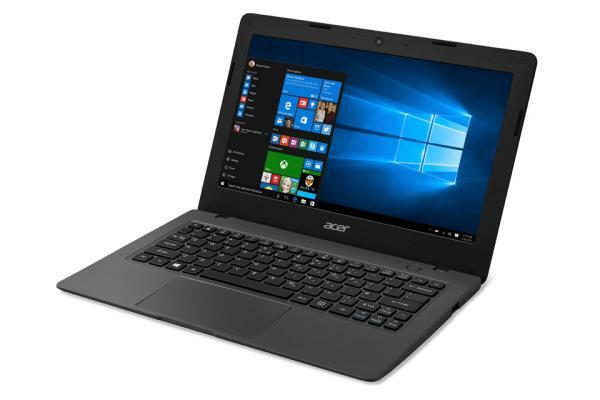 Recently I purchased an Acer Aspire Cloudbook 14 since my regular laptop is probably not too long for this world. A great pickup if you need a cheap laptop to just browse and Facebook and stuff, or in my case writing. The problem with the Cloudbook is that it only has a 32 GB hard drive, hence the term Cloudbook since they want you to ‘live in the cloud’ as they say. However, living in the cloud doesn’t help when it comes to updating the operating system. So I’m going to share with you how I fixed a recent problem with that in order to save people some time who happen to have the same problem. Windows 10 notified me that it was in need of an update but there wasn’t enough space on the hard drive to complete the update. However I could choose an external drive to download the temporary files to. I had a 32GB SD card inserted into the SD slot and the system recognized it but it wouldn’t let me choose the card. The trick is to format the card as NTFS instead of FAT32. The first thing you want to do is back up anything on your SD card that you don’t want to lose. After that you click on My PC, then right-click on the SD Card and choose Format. One of the options will be for format type and you want to change that to NTFS. Once that’s done restart the update and the system will let you select the SD card as the external drive. Once the system is done updating you can delete the temporary files on the SD card. Hopefully this will save someone from having to scroll through endless forum posts looking for the answer. Thank you for this! I just receved a Acer laptop from my son,he replaced it with a laptop better designed for gaming. I got the notice to upgrade but couldent decide how to do it becose the memory on this thing is crap.So, mission accomplished! you saved me a lot of time and energy!